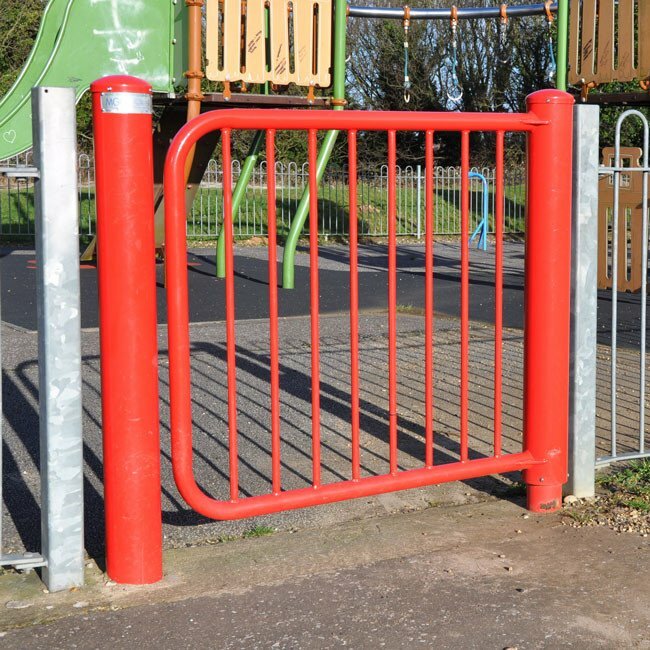 Mono Hinge Self Closing Gates® are designed specifically for play areas, and safety is therefore a primary feature. Supplied in two standard colours of Red and Yellow with height options of 1m and 1.200m. Mono Hinge Self Closing Gate® is precision engineered to be reliable, risk-free and robust. 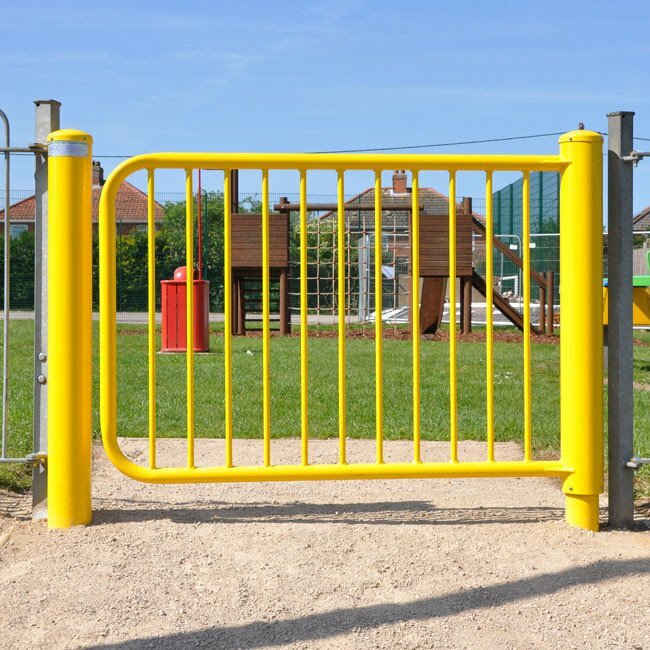 It is one of the safest gates available for the enclosure of children’s playgrounds and an increasing number of businesses and local authorities that need accessible and durable gate solutions. With a hydraulic mechanism tested to 100,000 cycles, the gate is fully compliant with the European Standards for Playground Equipment BS EN-1176. 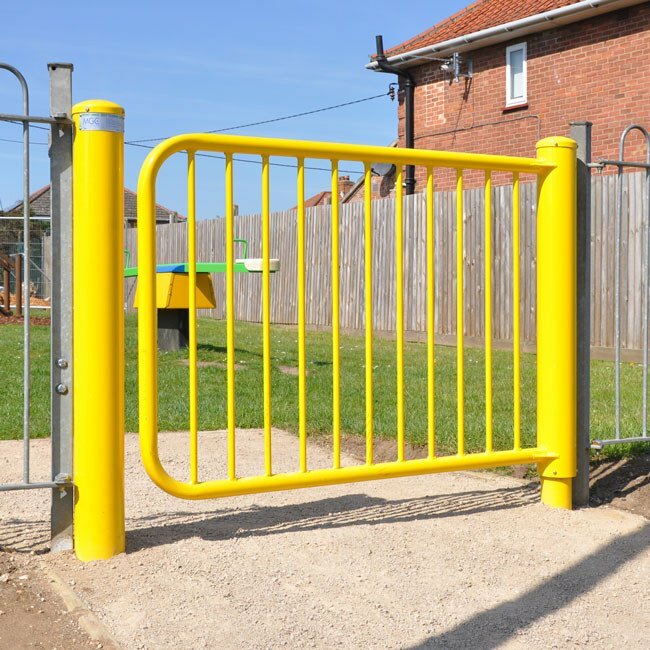 The gate incorporates varying closing speeds, making it virtually impossible to beat when it comes to safety. The gate opens to 110 degrees, which means that recoil is prevented and finger traps and crush points become a thing of the past. The gate is also wheelchair accessible and complies with DDA regulations, making it the ideal choice for long-term refurbishment and renovation schemes. The gates are vandal resistant. Finally, the gates are simple to install. Designed to open to the left or right, single or double, to match the needs of any environment, Mono Hinge Gates are assembled and supplied as complete units, enabling fast and easy installation to the correct specifications without costly site works.